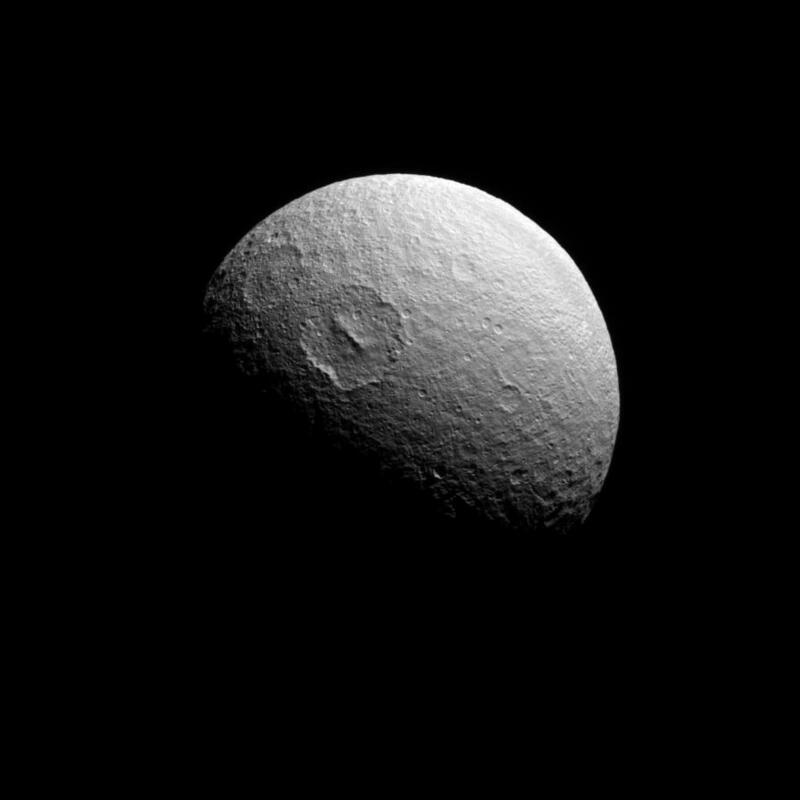 This Cassini spacecraft view looks almost directly at the south pole of Tethys. The large crater Melanthius is seen above center. Tethys is 1,062 kilometers (660 miles) across. 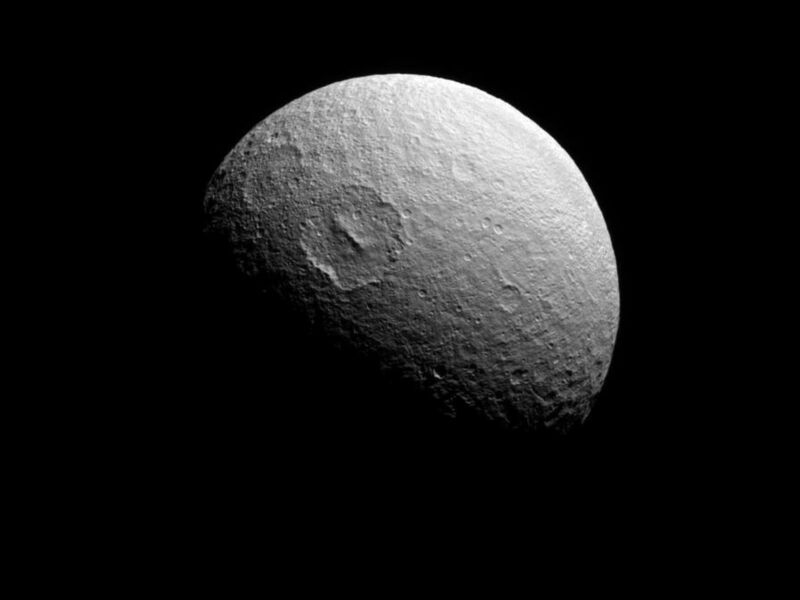 The image was taken in visible light with the Cassini spacecraft narrow-angle camera on May 18, 2008. 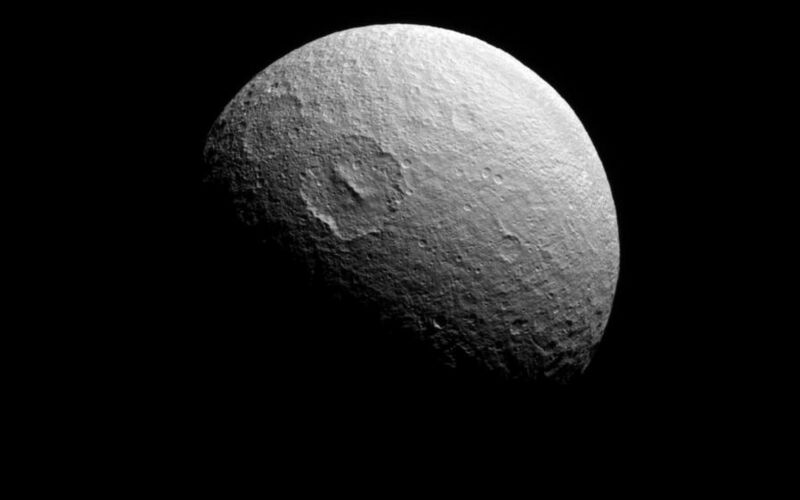 The view was acquired at a distance of approximately 357,000 kilometers (222,000 miles) from Tethys and at a Sun-Tethys-spacecraft, or phase, angle of 72 degrees. Image scale is 2 kilometers (1 mile) per pixel.